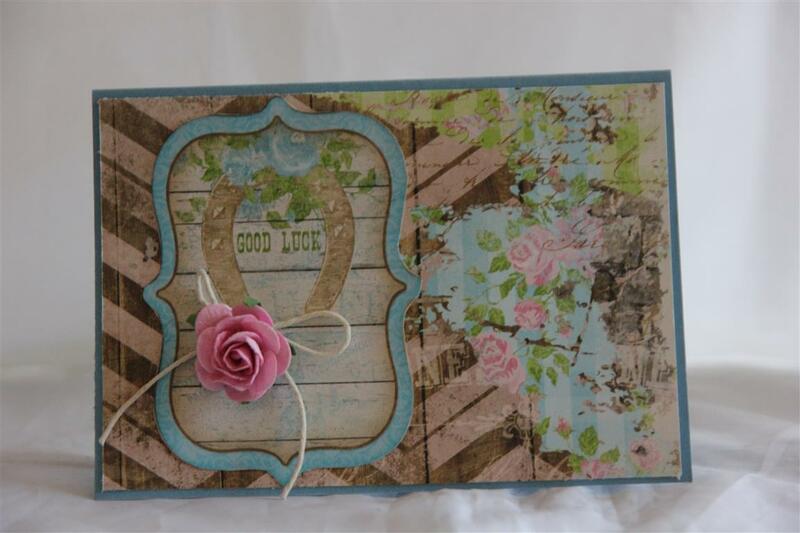 A good luck card for a bit of a change- The paper collection is Graphic 45 french Country and a piece of the matching chipboard. 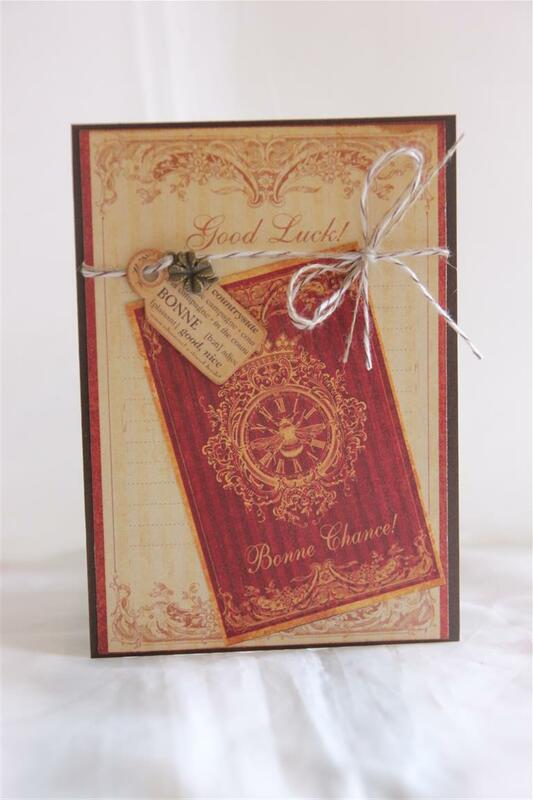 I added a four leaf clover charm and tied it on to the card with a mix of linen thread and bakers twine.The card base is stampin up early espresso cardstock. I am looking forward to spending a couple of hours this evening in the craft room creating with my new papers1 til tomorrow…..